Copper pipe is featured in many homes, commercial properties and farms as a means of carrying water from one point to another. 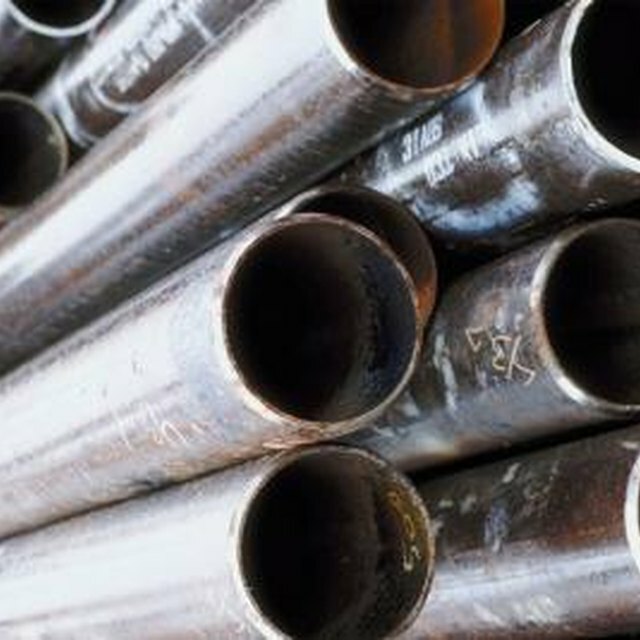 Due to age, normal use and damage, it can be necessary to repair holes that develop in copper pipe resulting in leaks. One method of repair involves the use of an epoxy tape wrap to simplify the repair of damaged copper pipe. Repair leakes in copper pipe with epoxy tape pipe wrap. Turn off the water supply to the pipe that will be repaired. Put on rubber gloves to protect hands during work. Wipe the outside of the pipe, around the damaged area, with a rag to remove dirt or debris that could interfere with the repair. Add cold water to a container. Place a roll of epoxy tape pipe wrap in the water and allow to sit for 30 seconds. Remove the epoxy tape pipe wrap from the cold water. Wrap the tape around the pipe beginning below the damaged area. Wrap the tape up over the damage and then beyond for a proper seal. Massage the epoxy tape wrap on the pipe with your hands. Rub the epoxy tape in the direction in which it was applied on the pipe. Continue rubbing and smoothing the tape until it begins to harden. Allow the epoxy tape to harden for 30 minutes before turning the water supply back on.